International touring Blondie Tribute Band "ATOMIC" - Performing such hits as "Heart Of Glass, Rapture, Call Me,The Tide Is High" and many more. 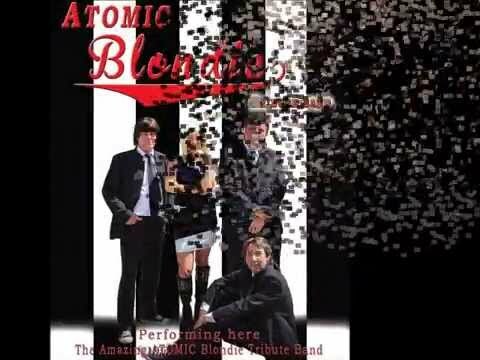 More than 35 years of timeless classics are brought to the live stage by ATOMIC - BLONDIE TRIBUTE BAND. With more than two dozen chart hits, six #1 hits, and over 40 million records sold, Blondie fused rock, pop, punk, and disco into their own unique style to solidify their place in today's music culture.Atomic Blondie Tribute Band. brings the lush keyboards, percussion and instrumentation found only on the studio albums to the live stage while performing such hits as "Call Me, I Want That Man, One Way, Maria, Heart Of Glass, Rapture, The Tide Is High," and many more. Combining it with the unmistakable voice, hard-edged and playfully sexual persona of "Blondie", Atomic - Blondie Tribute Band delivers a concert 2nd only to Blondie themselves. Alan Williamson - Keyboards & Bass.